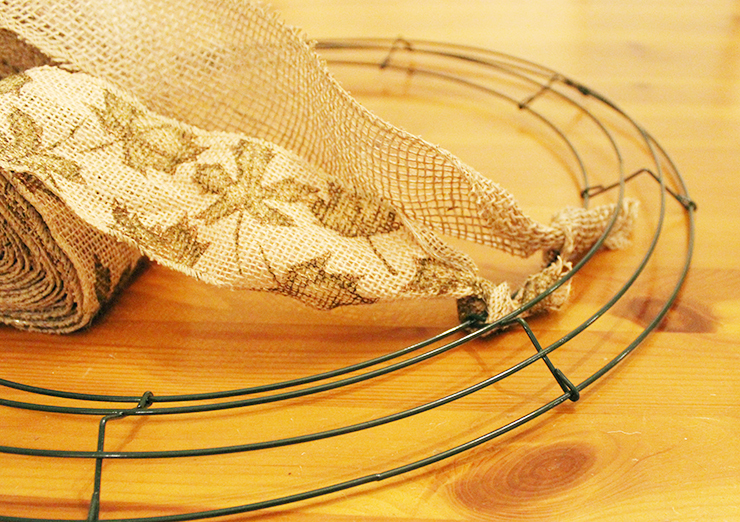 For a while now I've been a big fan of burlap, it has a shabby chic vibe and is always great for decorating. 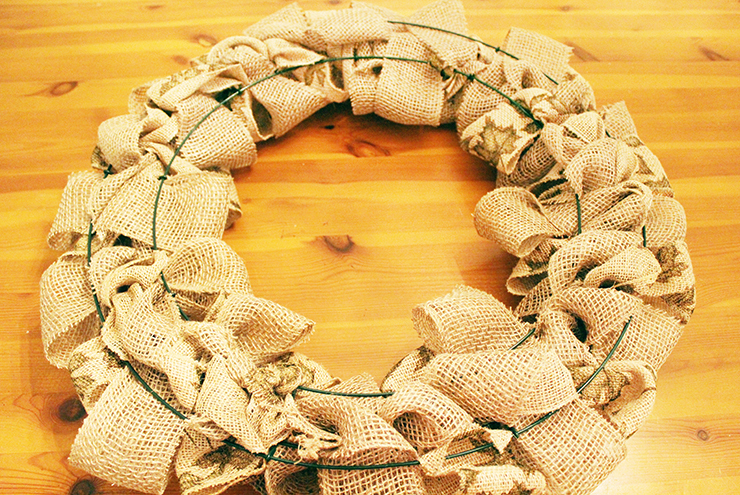 I've been seeing burlap wreaths on Pinterest for a while now and decided I needed to make my own! After reading over a few different tutorials I had an idea of what I wanted to do with mine and then put my own spin on it. 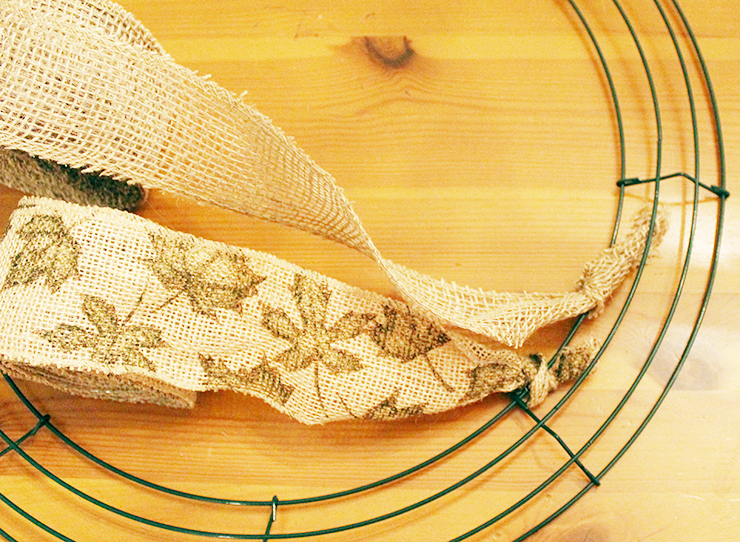 For my wreath I mixed a patterned burlap ribbon (it has leaves on it, which is perfect for fall!) with a solid burlap ribbon and I'm really happy with the way it came out, I actually like it much better than the solid ribbon alone. 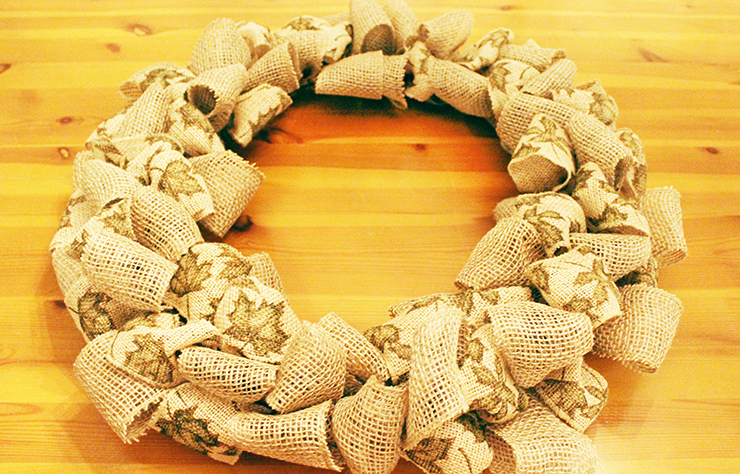 It took me less than an hour to complete the wreath and I'm so happy with how it came out. I gave the one I made to my Mom because I don't have anywhere to put it at school and she will have it up through Thanksgiving since it is so festive for this time of year! 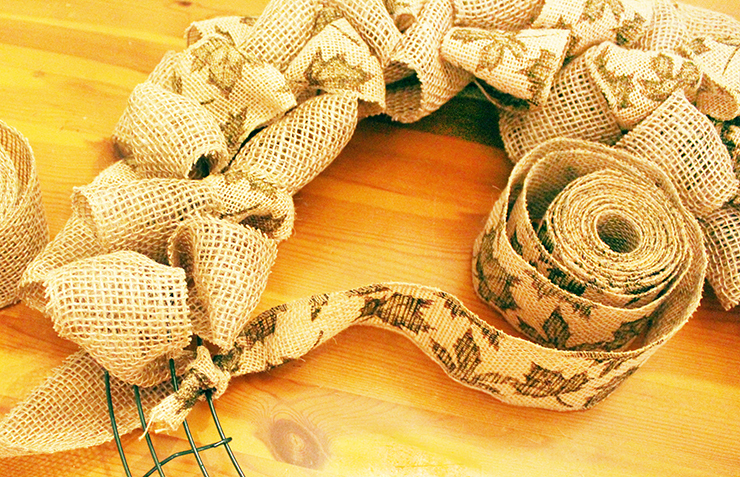 Read below to learn how you can make your own fall burlap wreath. 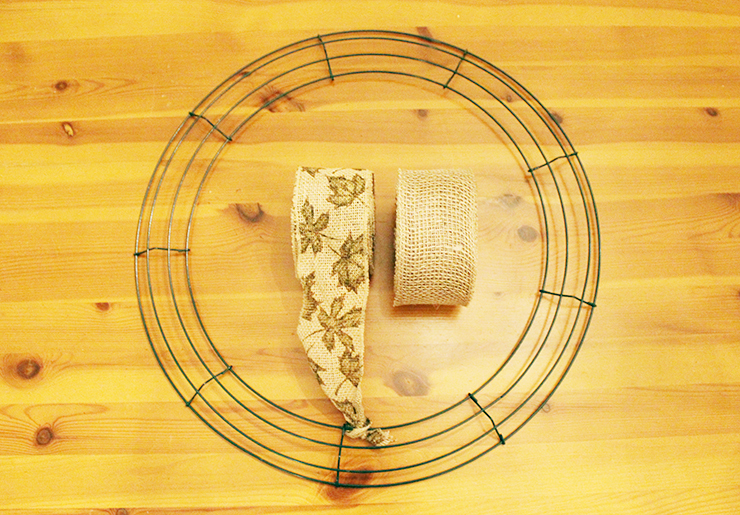 -Tie the end of the burlap ribbon to the wire wreath frame, if you are using pattern and solid burlap tie both ribbons to the frame. 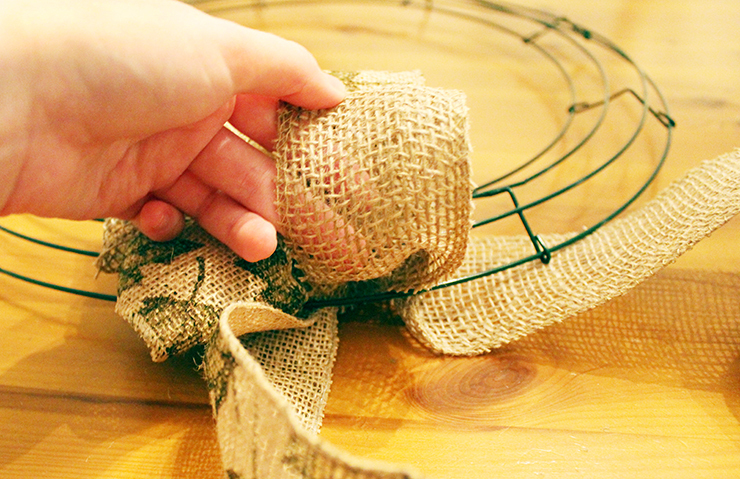 -Feed the ribbon through the wire framing, you basically want to "weave" in it and out of the little slots leaving big fluffy loops (see pictures), continue around the whole wreath frame. 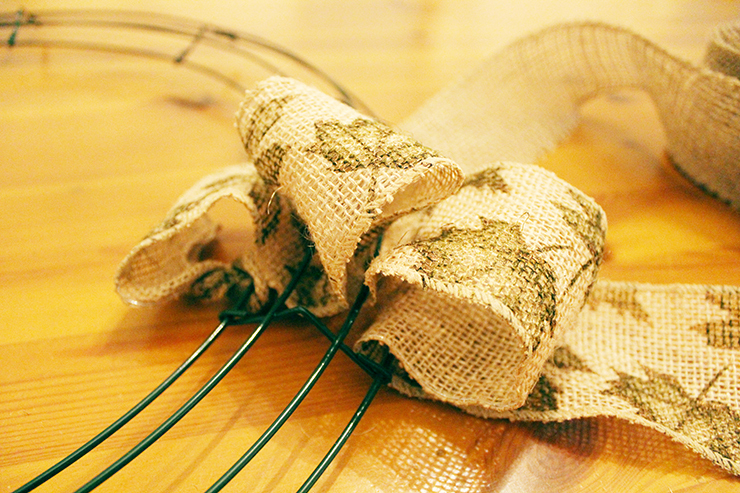 -If you are using pattern and solid burlap ribbons, alternate between the two, mixing the loops in with each other. -While creating the loops continue to scrunch them together and keep fluffing them out. For the best look try to have the loops going in different directions. -If you finish one of your rolls of ribbon, but need more of that ribbon, tuck the end among the loops and then tie the new ribbon onto the frame. 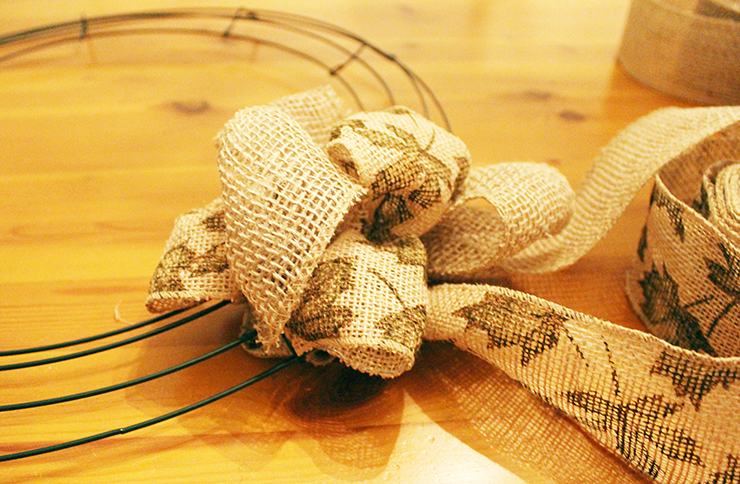 -When you have made big fluffy loops all around the wreath, tuck the end of the ribbon(s) among the ribbon loops. 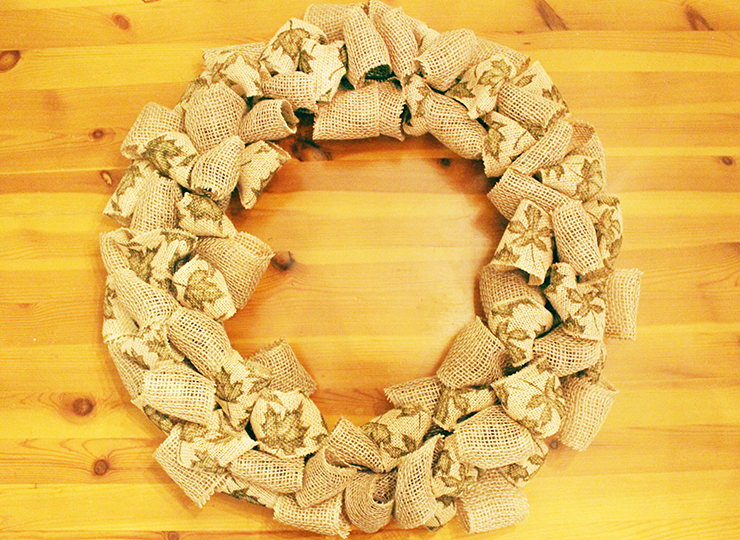 Have you made a wreath before? That looks amazing! 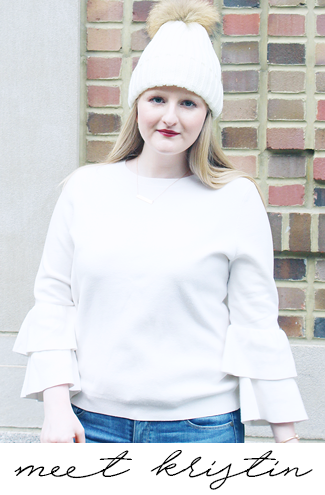 So perfect for the fall! This is so pretty! I love it! 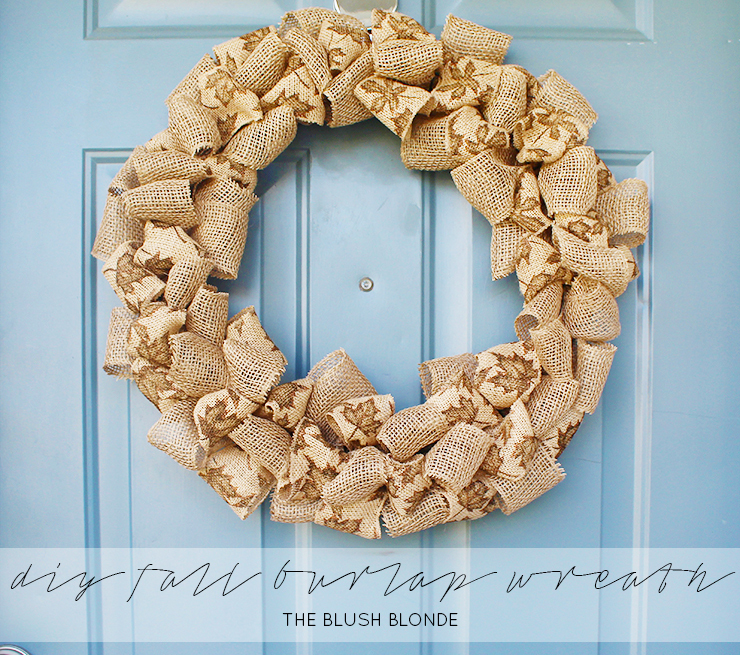 I have wreaths before and now I want to make this one! This will look gorgeous on my front door -- thanks so much for sharing!